If you wasn't already aware there's a new cosmetics brand on the market, Kiss Cosmetics their ethos is to bring excellent quality cruelty free products whilst remaining affordable to the ever growing cosmetics industry. 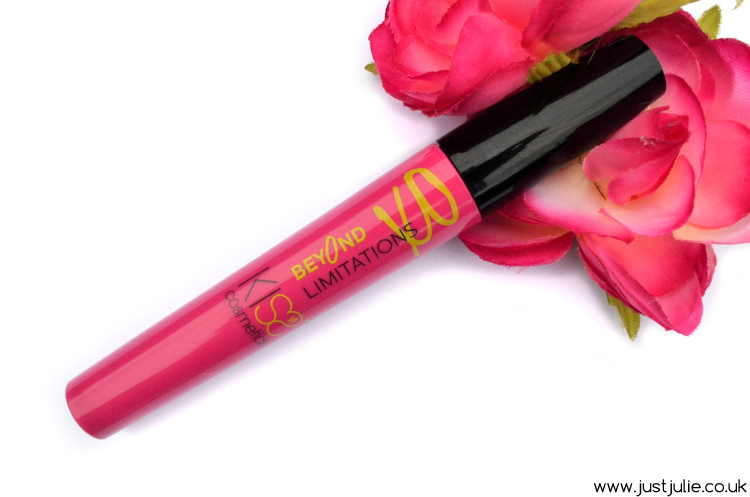 They have already launched a few products and I have been given the chance to try out their new Beyond Limitations Mascara* prior to it's launch. I have a drawer full of mascaras, I'm quite picky when it comes down to them, even when I find a mascara I love I'm still on the hunt for something better and if it's on the cheaper end of the scale then that's even better, so I was excited to try the new Kiss Cosmetics Beyond Limitations Mascara. 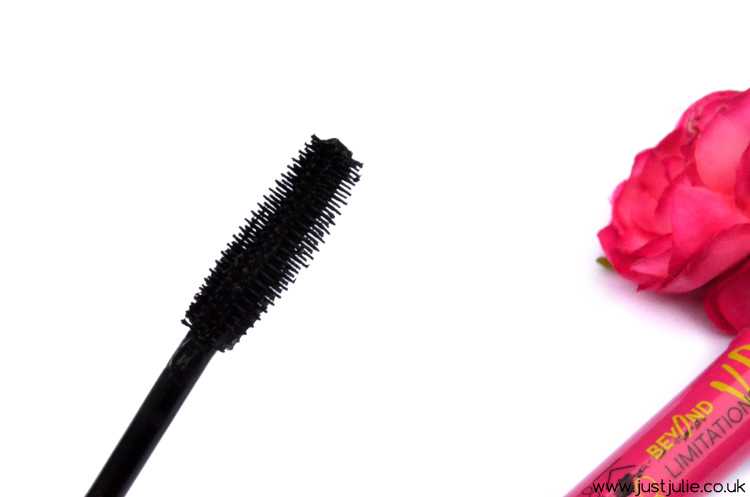 This is definitely a lengthening mascara, however it can be buildable without clumping. The first time I used this I struggled with the wand. It's got quite a large plastic super bendy wand which I struggled to control at first, as I couldn't really do much zig zagging into my lashes (is there another way to describe that action?!) however on my third application I had got the hang of it. I found the formula not too wet, which is always a plus from me as I do tend to prefer a dryer formula, as a result it didn't smudge at all during the day. If you love your lashes full, thick and super volumised then this isn't the mascara for you, however if you like to keep your lashes looking natural with some great length and definition then I'd pick one of these up when it's released. So far Kiss Cosmetics have launched five products, have you got round to trying anything from the brand yet? What would you like to see them release next?